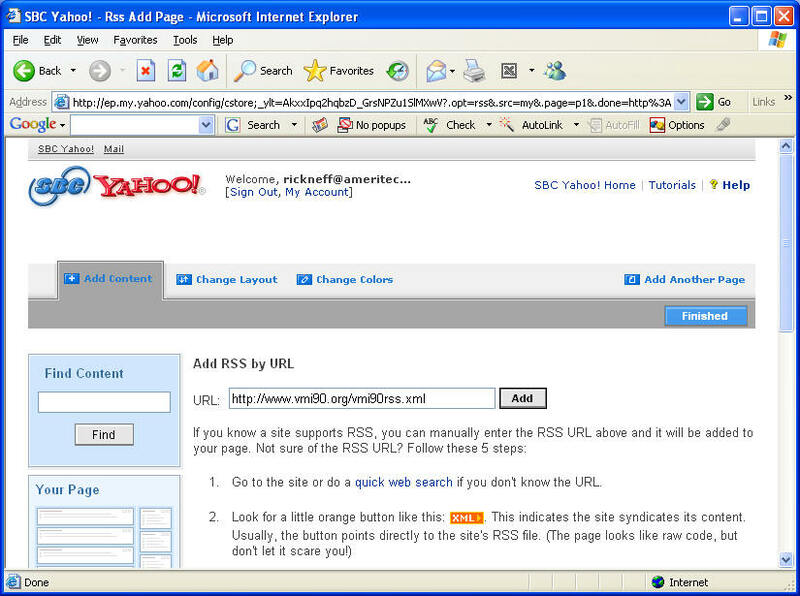 RSS (Really Simple Syndication) has become a very popular way for people to collect and view information from various Web sites, especially news-related or blog-related items. 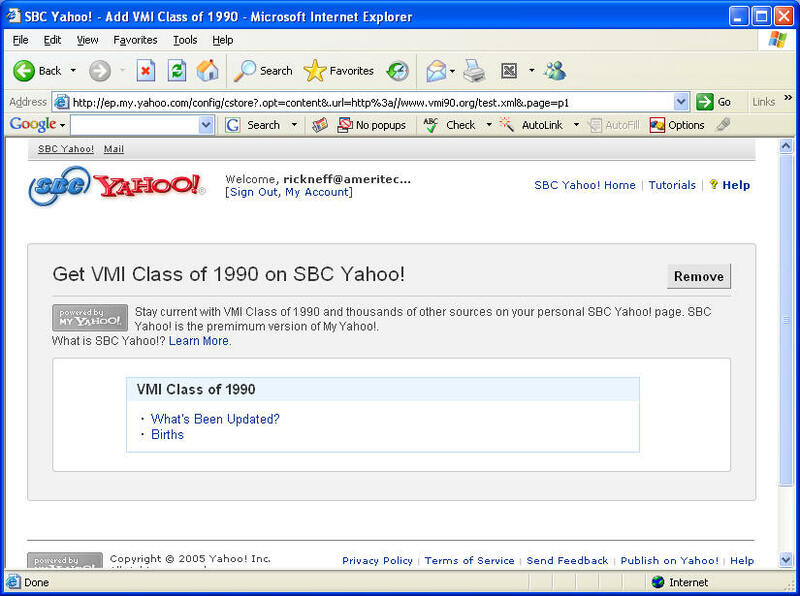 As such, I've created a RSS feed for updated information to the VMI Class of 1990 Web site. 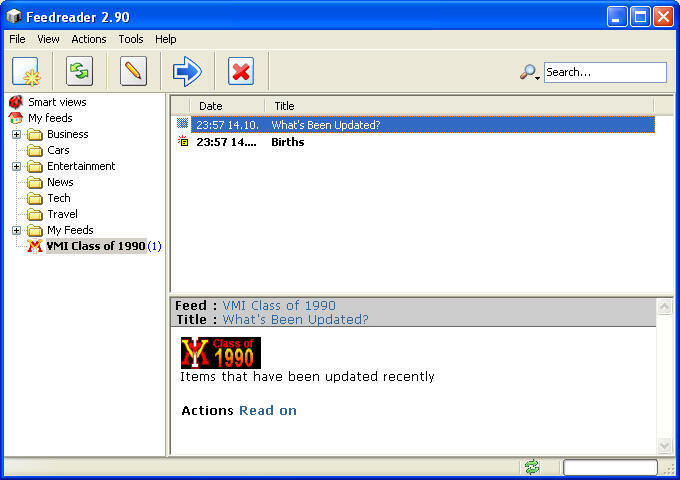 I'll show 2 ways to view this RSS feed. Right-click anywhere in the left-hand pane and select New External Feed or select File, Add Feed from the menu. Click the Next button. Then, select which folder you want to place the feed and click Finish. If it worked properly, you should see the new feed added. 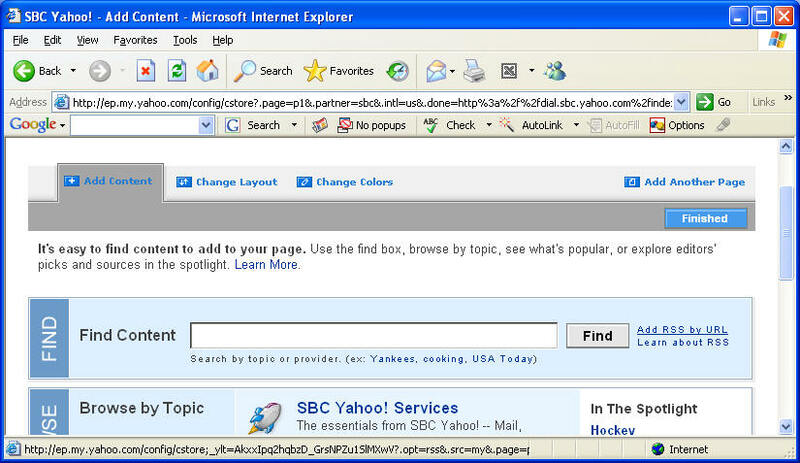 Click the Add Content link.